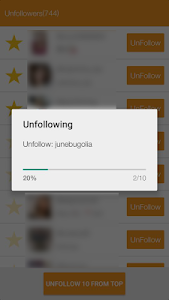 With this app, unfollow users is a easy thing. 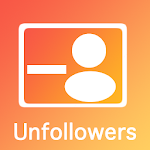 You can cancel the attention one by one to click the unfollow button on the right side, you can also cancel the attention of 10 people at a time to click the unfollow 10 button. When you want to cancel a lot of attention, but do not want to cancel the attention of a person, you can light up the stars, so he will not be dismissed. 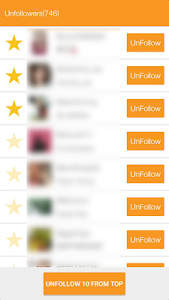 It is very easy and quick to unfollow users. 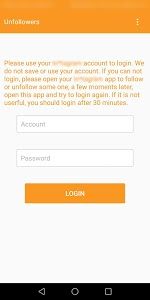 And it is free for you to use!